TO MATCH YOU WITH THE RIGHT COMPANION! 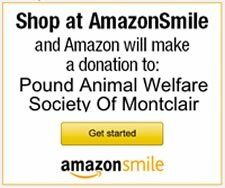 PAWS offers private adoptions in addition to our on-site adoption days at Petco and, coming again in June, the Farmer’s Market in Montclair. 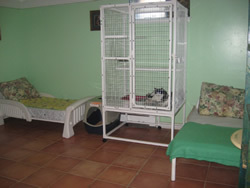 Our cats are sheltered at a peaceful, clean and lovely local sanctuary where you can make arrangements to meet cats you see posted on our site. 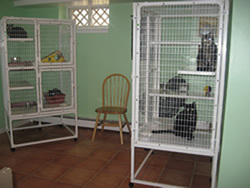 There is quiet space to interact with the cats in a natural home environment without the stresses of crowds or other animals. 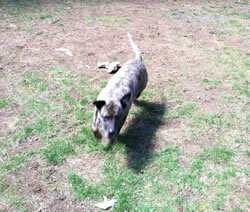 PAWS dogs are either in foster care locally or at our sanctuary in northern New Jersey. Depending on your schedule, you may be able to meet the dogs at that location, or we can arrange to bring a particular dog to your home so that your entire family may meet a potential adoptee. 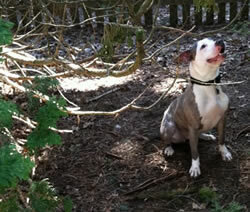 Our main goal is to match you and your family with the right feline or canine companion. Because these animals live in a more natural setting, we have a better understanding of their behaviors. Behaviors can surface in different environments, and with different people. It is natural that an animal may initially be stressed in a new home environment, and we work with behavior specialists that can help make better transitions and provide great training tips. We encourage you to contact us to arrange for a private adoption visit. We do require that our application for adoption be completed prior to meeting any of our animals so we may have a better idea of your expectations, and can possibly suggest certain animals you may want to meet.